I love February. After all, this is the month of love! What’s not to love about hearts, pink and telling those closest to us how much they really mean to us? February is a wonderful time to reflect on love – and remember why we love the people that we do. This month, while you think about love in all of its many forms, don’t forget about a very important love – self love. After all, it’s difficult to love others when you don’t love yourself. What is self love? Loving yourself isn’t being arrogant or thinking you are better than others. Self love is a strong sense of respect and confidence in yourself. It’s about being aware of the shifts that naturally occur within ourselves – and being accepting of those shifts. Self love is happiness: being happy with who you are now, and not what you wish you could be. As women, we sometimes forget to love ourselves. We get so busy and caught up in taking care of our families, raising children, having successful careers and being good friends that we often forget to take the time for ourselves. But in order to truly love those around us – and help them to feel our love – we need to love and respect ourselves first. Try this little exercise with me. Stand in front of a mirror. Look deep into your eyes (as if you can see right through your “self.”) Then, notice how you feel in your body as you say, “I love you.” Don’t worry, you might feel a little silly doing this, but keep going. I hope you see a strong, beautiful, self-assured woman. She’s within all of us; we just need to look for her. I don’t care if you think the person staring back at you in the mirror is good looking or not. What I care about is this: If you met that person (you) on the street, would you like them? Part of living true is loving yourself – even those things you wish were different. I want to suggest some steps that have helped me to love myself more. I hope they will help you too. I hope that we can all take steps to loving ourselves more abundantly. If we all did this, there would be so much love to go around! Can you image what we would look and feel like if this was the case? I hope you all have a fantastic February and remember, Live True, Be YOU! Find fashionable clothing that will give you confidence at modbod. 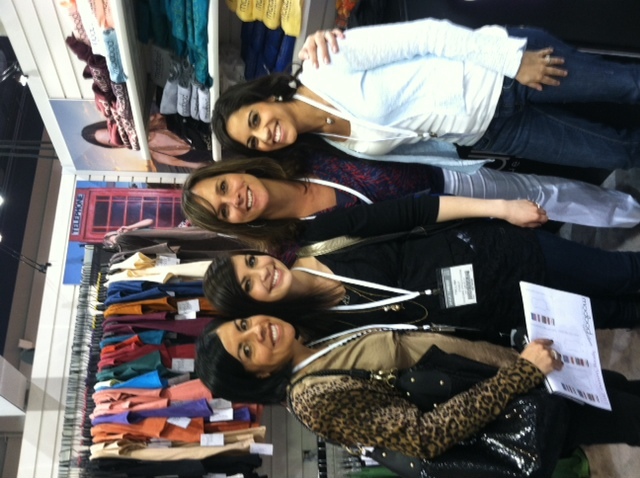 The modbod crew had a blast in Las Vegas this week attending MAGIC! This is an awesome show where we go to show off modbod to boutiques and wholesalers – it’s also a week full of fashion! We came home inspired and ready to take modbod to the world. We wanted you to see what it’s like at one of these shows, so enjoy a little behind the scenes. And, if you look closely you may be able to get a sneak peek at what’s soon to come. 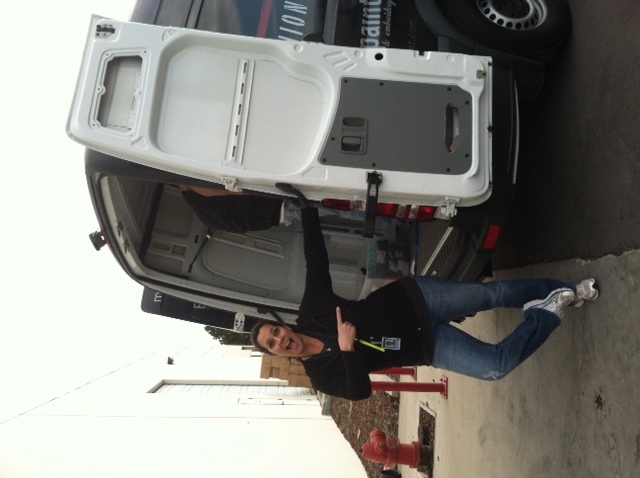 Our fabulous fashion sales rep Karen is ready to road trip it to Vegas! Stacy (modbod Chief Branding Officer) and Amanda (owner and CEO) are ready to greet guests to the booth! 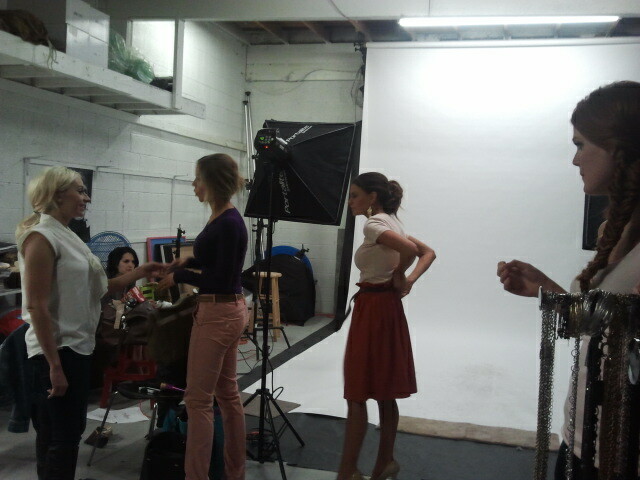 Stay tuned for a lot of fun announcements (hint: new product) and fabulous photos from our latest photo shoot! Give that special person in your life a reason to smile this Valentine’s Day! 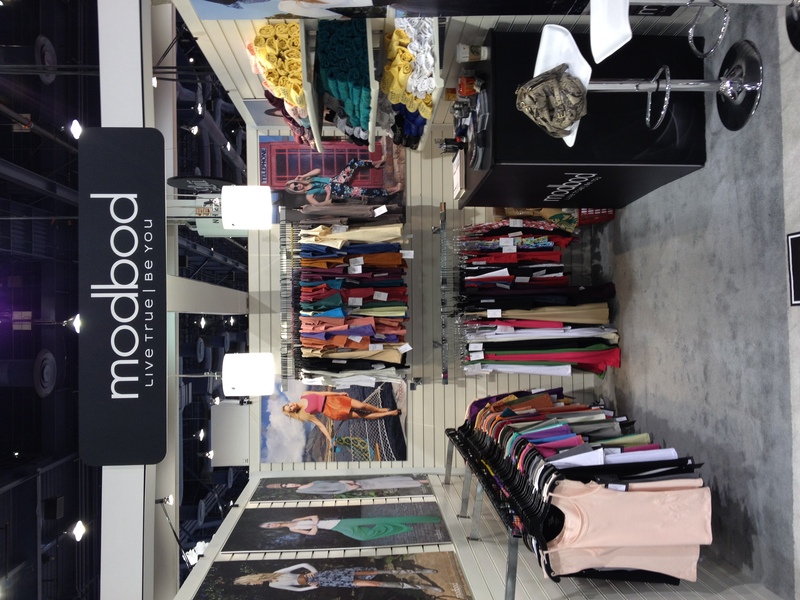 Stop by any modbod retail location, purchase $50 worth of modbod basics, and get it wrapped up in a beautiful package. You’ll receive free gift wrapping, a 25% off coupon, yummy candy and a fun lip gloss with your purchase. Choose the colors and sizes you want for your modbod shirts and then let the modbod girls do the rest! Ladies, give your husband or boyfriend a hint and forward this link on to him! Or, pick up a little something for yourself. 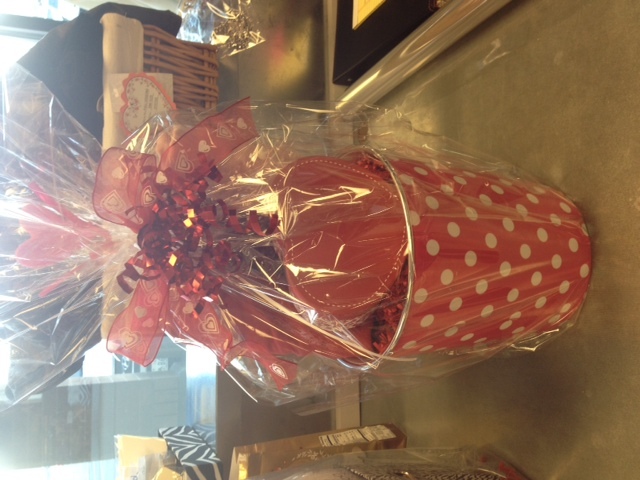 Plus, when you come into any retail location this month, you can enter to win a FREE modbod gift basket* on February 13th! And, you can also enter to win our February promotion contest to win a $40 gift certificate**. It’s all about the LOVE this month and we want to show our customers how much we love you! 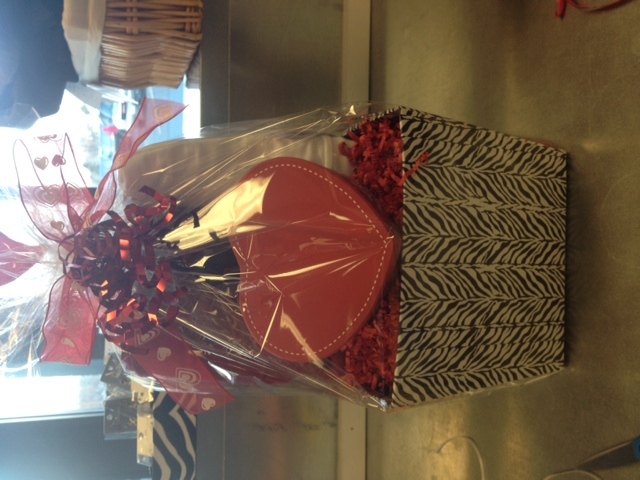 *Gift basket promotion is only available in Orem, American Fork , and Springville retail locations. Three total gift baskets will be given away. Winner will chosen on February 13, 2012 at 5:00 p.m. MST. **In-store and online customers can enter to win the $40 gift certificate. One gift certificate will be rewarded for each retail location and one online customer (4 total). Online customers can enter to win by “liking” modbod on Facebook. Winners will be notified on March 2, 2012 at 5:00 p.m. MST.